That I haven't cleaned dirty carpet, this one is quite a challenge, had to pre vacuumed, y'all know how much I LOVE to pre vacuum, lol. Amazingly this one is a rental in the most expensive area in LA, south pasadena, where 1 bedroom unit goes for $ 1800 and up / month, top school ratings throughout the city drives prices up. I use firestorm mixed with ultrapac, I almost died there, lol. Re: It's been a while ! If you come to Indiana to clean carpets sometime, give me a call! Great results...strong chemical mix there, I hope you can still breath. Which part is the clean side? It's polypropylene Bob, firestorm smells strong but there is pleasant side to it, but ultrapac is just evil, I don't use ultrapac anymore except for jobs like that, which thankfully I don't do often at all in the past couple of years. I haven't ordered ultrapac for at least 2 years now and I still have 1 or 2 gallons in my garage, it's a great product for heavy soils especially polypropylene / polyester. Oh Mo, I don't like posting before and after pictures like that for 2 reasons, one is people's expectations are automatically jumped up through the roof as soon as they see those pictures, we all know if those poly had been cleaned by rug doctors, they are gone. Second reason is it will deter higher clientelle that thinks we clean rat nasties ( unsanitized equipments ). That was poly?! Wow, I have not seen poly bounce back like that without heavy scrubbing first. I agree with Dp on using these kind of pictures on a website, it chases off the high end customers and invites the worst of the worst to call....especially slum lords trying to avoid replacing that blackened 35 year old carpet. Well as good as it looks, it’s not perfect, there are some spots that are not out completely, most people won’t see them but carpet cleaners will see them for sure. I scrubbed some areas with my shoes, like the area in the picture ( adjacent to the kitchen ), I scrubbed the heck out of them, I looked like a crazy man kicking the $@#!& out of the carpet, lol. I kinda wished I brought my rotovac, I only had the hoss but I was too lazy to bring the thing down, plus I had extra time, so I just sprayed and let it dwell a little longer before I extracted. LOL! You couldn't have done any worse, then the half assers that I hired. It certainly did NOT pass the white towel test. My wife was a tad bit upset. I've got a gallon can of firestorm. I could let you use mine, or some of Cobb's powermax. 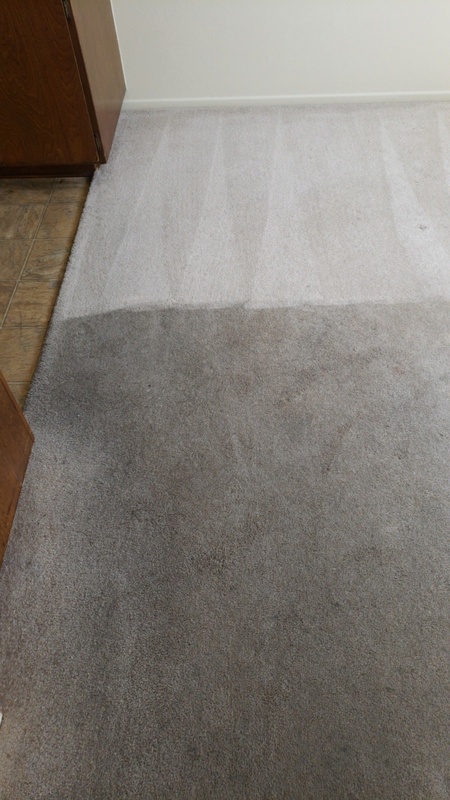 I would not post before/afters with carpet either, for the same reasons you and Rob mentioned. I will with power washing though. I'm sure I've posted this before, a veteran cleaner that had became a distributor told me this a long time ago, "I could use rug doctor and clean carpet and will get the same result as yours with your everest"
I had just about a year of experience back then and in my mind thinking this guy is full of sh!t, but then he said "you want to know the difference ?" It will take you an hour or two to clean with your machine and it will take me 3 - 4 hours and the carpet will dry much longer with my rug doctor, back then I still think he's full of it but now I believe him 1000%. I still don't want to clean with rug doctor but if I have to, I believe I can do better than most cleaners in my area. 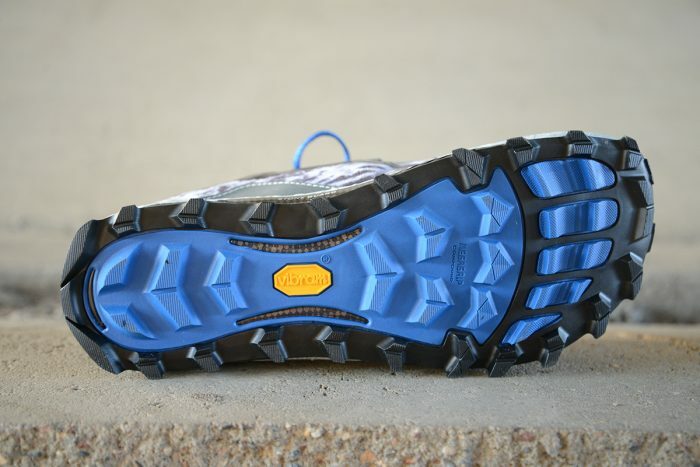 They are a crazy new hiking shoe, I am thinking they would work well in deep snow.....and carpet scrubbing. I had to drive to a small town in Iowa last night to clean a house. The couple was getting ready for a open house and needed some help right away. They had never hired a carpet cleaner before and didn't know what to expect. The carpet was more than 15 years old (kids and dogs), but they were nylon and cleaned up really nice with dry to the touch results in 20 minutes. I even cleaned up some spilled interior paint in one room. The wife was loving it and kept adding more things to the job (throw rugs, sofa, recliner, etc.) and even had me clean her sofa that was handed down to her by her grandmother 35 years ago. I felt like a magician on stage, all the family members were watching with every pass and going crazy over the difference. It is jobs like that one that kept me in this industry. We can clean textiles all day long for the money, but to get sincere appreciation on top of it is just great. They sent me home with some home produced honey, fresh apples from their orchard, and a good tip. It was a long day, but a good day. Iowa huh ? How long was the drive to get there ? How the heck did they find you ? It was really crazy Dp, the drive is more than an hour so I was not too excited about it from the start, but chose to go. The Facillites Director was told about me from an Exec at the Zoo and after he showed me the grounds told me that the job was mine if I wanted it. They are beginning a 19 million dollar renovation and wanted the lobby and hallways cleaned prior to the arrival of the CEO. They actually want me to clean it twice (next week and again the night prior to his arrival). I took my measurements, looked at their in-house equipment and spoke with the janitorial staff before suggesting that the department needed to upgrade their equipment, chemicals, and techniques to maintain the carpets. The Director agreed and asked if he could hire me to provide team training and submit a detailed cleaning plan for the facillity as well. The odd part was that there was no discussion about price for the entire visit until the end. When I told him that I would have a full bid submitted to him by morning, he told me that there were no other companies invited to bid on it and that "price was not an issue". I told him that he was the worst haggler in the world and that it probably isn't a great idea to tell a contractor that, but he replied that he trusted me and re-stated that price was not an issue. I then told him that my schedule was a little messy right now, but he said that it didn't matter when I wanted to tackle it nor if it was day or night. Basically, this is the kind of thing that you see in dreams only to have the alarm clock destroy it, but I was not asleep. Looks to be about a 5 hour job so with the commute, a 6 hour evening. That isn't bad, and it will be a decent ticket without over-charging. Glad I drove out there and it was very interesting to see the direction that retirement homes are going. The trend is to remove the institutional feel to them and make them more like a hotel. They have a coffee shop, pub, lounges, library, restaraunt, etc. on a 32 acre property. No more grey walls and tile floors, it really felt like a nice hotel. The only thing missing was maybe a casino. They also are building another 65 living unit dorm on the grounds so there will be plenty more carpet being added to the place. Intriguing situation. Well, I LOVE that kind of customer, no haggling, just want the job done right the first time, I would’ve tagged an extra $ 0.10 or $ 0.20 / sq ft to cover my time and gas for the drive and I don’t think that’s cheating the customer, it’s called covering your costs of doing business. The only issue I see is if you have to do it in the winter, that 1 hour drive can easily become over 2 hours with ice and snow on the road. I am adding a fuel charge for the distance, which I feel is certainly acceptable. My only negative will be having to deal with Iowa income and sales tax. I do not have an Iowa sales tax ID presently. I also have to check with my insurance policy to make sure that I am not restricted to the State. There always seems to be details involved, even with the good jobs. Honestly I wouldn’t worry so much about any of those things you mentioned, the income tax part, if they pay you with a check to the company, just include that amount to your total gross income in your federal tax return, it’s close to impossible that Iowa is going to go after you for that kind of amount. Sales tax ? Did you sell them any product ? Down here in CA, service is not taxable, only products you sell are taxable. Now if you start doing more jobs there, I would be inclined to ask my ins agent if I’m covered down there, if it’s only one or two jobs annually, I would just be extra careful in everything I do. We get sales tax on services down here...makes no sense, but taxes rarely do. Insurance company had the same answer as you, unless it was a frequent event, they didn't see an issue. I have floated the bid over to his office and will likely be scheduling later part of next week.